Learn the Median nerve reconstruction surgical technique with step by step instructions on OrthOracle. Our e-learning platform contains high resolution images and a certified CME of the Median nerve reconstruction surgical procedure. Reconstruction of a peripheral nerve with autograft is a useful technique that has numerous applications including reconstruction of a nerve gap following trauma, and excision and grafting of a neuroma in continuity. The following case serves to demonstrate the technique in a patient that had previously had treatment for a complete median nerve division at the wrist with surgical exploration and subsequent reconstruction of a nerve gap using processed nerve allograft. The patient went on to have very little sensory or motor recovery through the allograft and developed a neuroma in continuity. 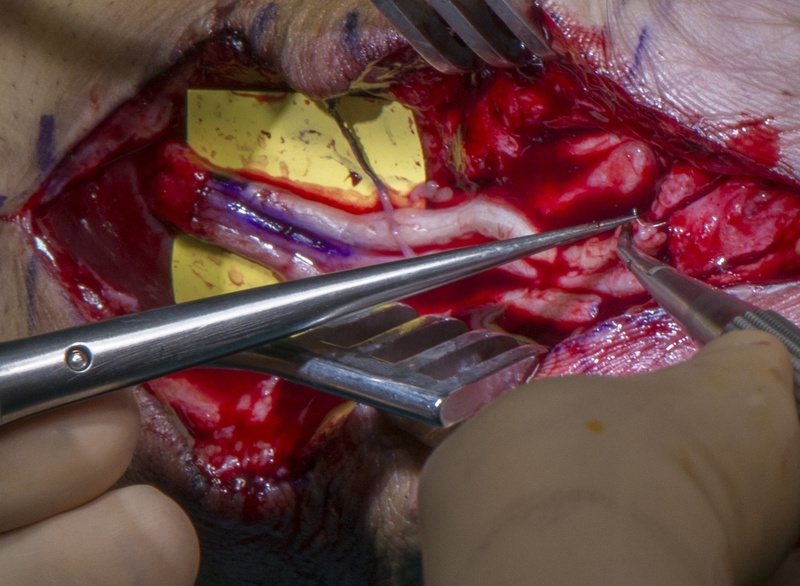 The decision was made to re-explore and to excise the graft and any proximal neuroma and perform a cabled autograft reconstruction using sural nerve autograft.